Special Containment Procedures: SCP-773 requires no special containment procedures at this time, and is to be held at Site-██ in secure storage until further notice. 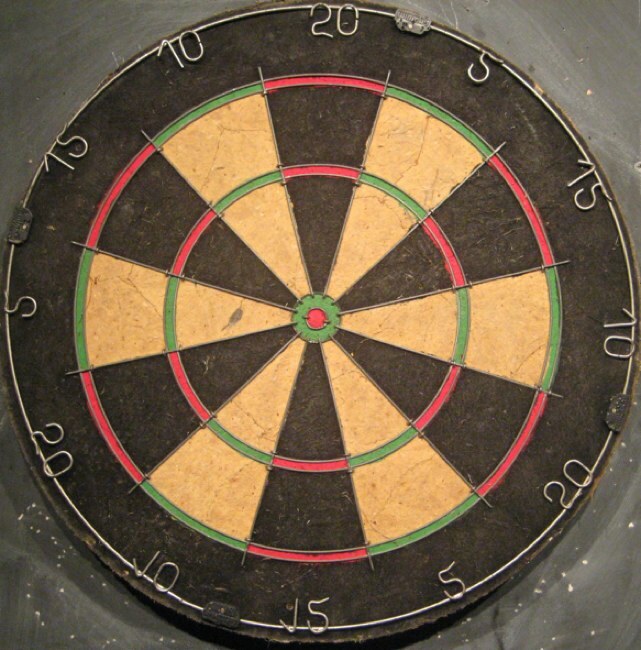 Description: SCP-773 is a standard English style dartboard with a diameter of 451 mm. It is divided into the standard twenty segments and an inner and outer bulls eye ring, along with the standard double and triple bands. SCP-773 was acquired by Agent ██████ from a Mr. ████████ of Gloucester, England residence, after an anomalous police report came to the attention of the Foundation. Mr. ████████ was found dead in his home, with several ruptured blood vessels, and a heart attack which proved fatal. Police were unable to identify any cause of death. After investigation into the death by Agent ██████, it was discovered that the dartboard in his study had been acquired from the organization known as Marshall, Carter, and Dark Ltd recently, after wiring a large sum of money to the organization three weeks prior. Upon recovery of the object a set of instructions were recovered from a panel in the rear of the board, which also contained a set of diamond tipped darts with a space to insert small strips of paper. The instructions were handwritten and signed a Mister ███████████. According to the instructions, when a dart is thrown onto the board, from a distance of at least three meters, and the name of a person is written upon the dart, it will cause harmful injury to that person, depending on where the dart impacts the board. The higher the number on the board, the more severe the injury, ranging from a simple sprain of the elbow, to as severe as a complete rupture of the aorta. The instructions explicitly state that the person must be written clearly on the dart, and that the rules are observed, or the detrimental effect will occur to the thrower. This effect occurs in triplicate according to the standard British Dart Organization rules, before another person can be selected by another player to be injured. Double and triple bands incur ill effects based upon the base score they multiply. After significant experimentation, all of these effects have been confirmed by Foundation staff, using Class D personnel. It was also discovered that it would not affect any person more than 30 meters from the board itself. Slight finger pain in the right hand. A fever for several days. Treatments are ineffective at breaking it. Rupturing of the blood vessels in the sinuses, leading to heavy bleeding from the nose.